This year, find your Christmas gifts for everyone all in the one place. 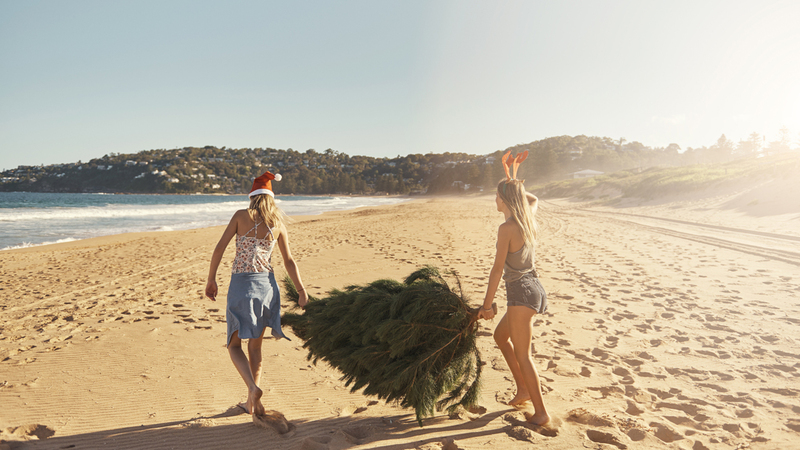 With our range of experiences, you'll find xmas presents that are thoughtful and memorable, making Christmas 2019 the best one yet. There is an experience for everyone in our Christmas presents range, making them the perfect gifts for mum, dad, kids, your loved ones and everyone in between. Make Christmas day even more special with an experience from RedBalloon. Christmas 2019 is fast approaching so don’t be stuck for your christmas gift ideas, especially when they are so many people to buy for. At RedBalloon, we understand how hard it can be finding thoughtful, unique and fun presents that are perfect for different personalities and types of people, which is why we’ve curated a range of Christmas gifts to take the stress away this year. Whether you’re looking for gifts for mum, dad, your kids, partner or any other loved ones, we’ve got the right experience for them. For xmas presents that are surprising and will sky rocket you to the best gift giver in the world, the introductory trial flight is the perfect experience. This bucket list gift will see them learn to fly as they become the pilot of a Cessna 172. They’ll soar high, learning from a professional whilst also taking in the spectacular scenery of Auckland below. This is one of the best gifts for men or women who have always dreamed of being a pilot or a thrill-seeker up for a whole lot of adventure. It can be hard coming up with ideas for the special lady in your life, especially if you’ve left your gifts for her to the last minute. Don’t worry, whether your struggling for ideas or you’re scrambling last minute, the joy of a RedBalloon experience is that all you need to do is book online and it’s ready to go. It takes away the hassle of scurrying for christmas presents at the shops or the stress of not having any clue of what to get. For truly indulgent christmas gifts 2019, why not treat her to the daytime hot pools private bathing for 2. The best part of this present is that you get to join too as you experience a private hot pool overlooking the Shotover River. Sinking into the warmth will let her worries float away and definitely score extra brownie points as one of the best christmas present ideas. The Waiheke Island winery tour and lunch for 2 is one the best gifts for couples or gifts for dad you can enjoy with him. They’ll get to enjoy stunning scenery on Waiheke Island whilst visiting three wineries and sampling some of NZ’s finest wines. They’ll also tuck into a delicious lunch platter of local produce, making this a gourmet experience perfect for gifting. There’s no better xmas gifts then the ones they can enjoy with a special someone, which is why this experience for 2 will be a hit with the lucky recipient. There is no better feeling in the world then watching your loved ones open their Christmas presents and seeing the look of surprise and delight on their face as they genuinely love their gift. We’re all about this moment at RedBalloon which is why your Christmas presents 2019 should gift outside the box with our range of experiences.